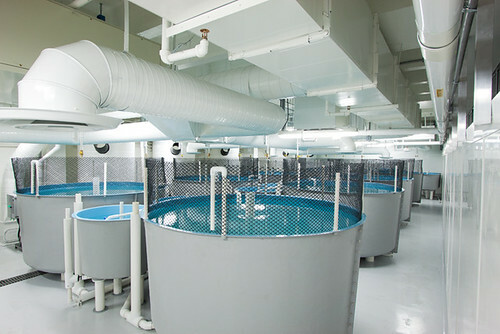 Integrated Aqua Systems designs and builds customized tank systems for aquaculture research, education, and live animal holding systems. 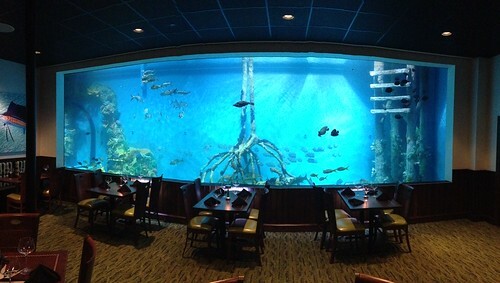 A wide range of tank options is available including fiberglass, acrylic aquaria, insulated tanks, PVC tanks and polyethylene tanks. 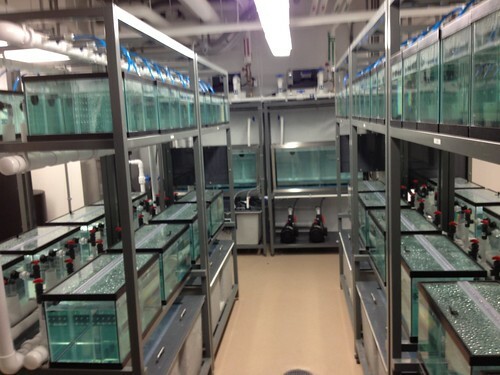 Tanks can be rack-mounted and supplied with customized features and equipment to meet the project requirements. 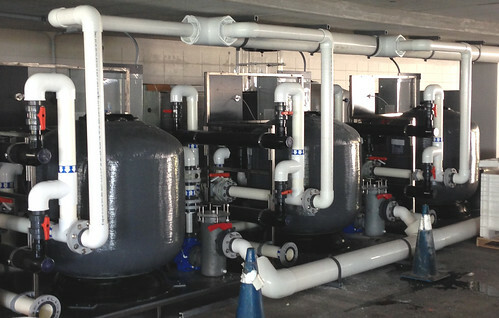 Consult with Integrated Aqua to discuss your project. 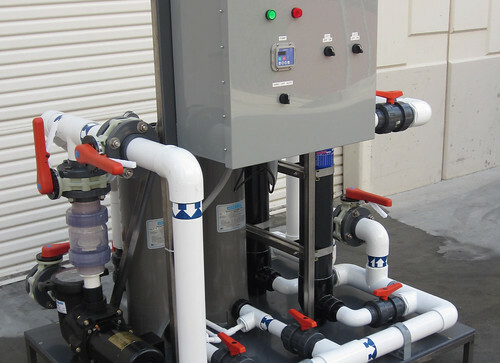 All systems are electrically tested and water tested in our facility prior to shipping. 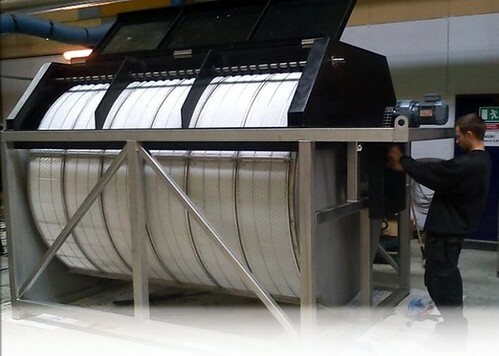 Our pre-engineered systems can ship and assemble anywhere, minimizing installation labor costs. 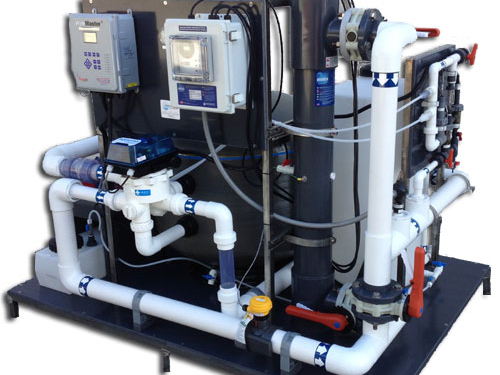 Our recirculation technology with built-in redundant safety features. 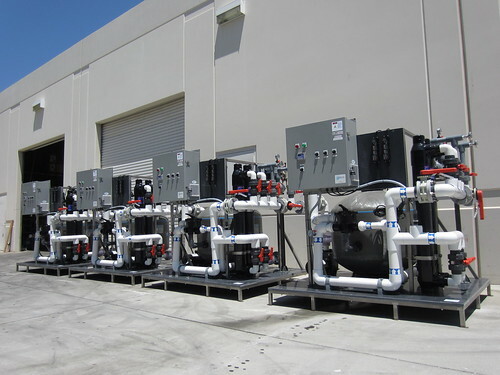 Plumbing systems allow maximum operating flexibility including tank isolation, recirculation or flow-through capability. 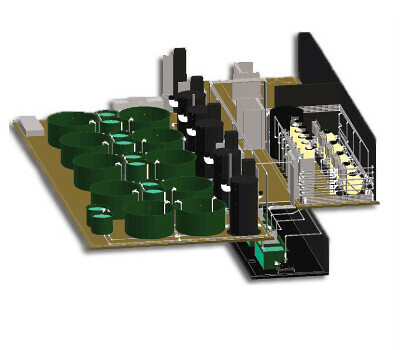 Value engineering allows customization at an affordable cost. 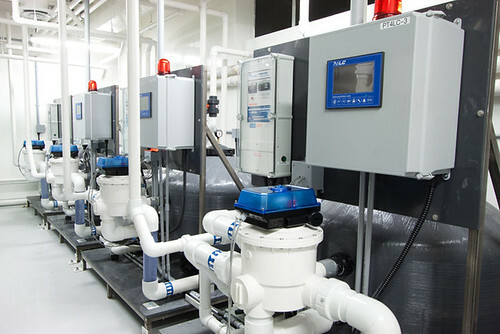 System integration with recirculating filtration systems, lighting, aeration, temperature control systems, disinfection, make up water supply, etc. 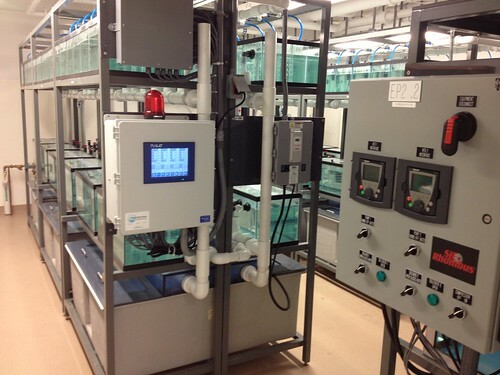 Water quality monitoring & control systems. Custom fabrication, mounting of components.